One response to the housing crisis lies in the hands of local communities. In 2010, a group of Liverpool residents started to plant up their street with flowers in tubs. Local people encouraged ivy to climb up their largely derelict street. They wanted to make it a better place to live. But they also simply wanted to remind everyone they were still there. In the 1980s the Toxteth area of Liverpool saw some of the worst civil unrest this country has ever known. In the aftermath, swathes of Victorian terraces were bulldozed in favour of bland low-rise social housing. Early in our life in 2015, Power to Change stepped in to fund the refurbishment of five of those neglected terraced houses. We did this via Granby Four Streets, the community land trust set up by the locals. Six months later, the Turner Prize was theirs. The award was not for the aesthetic content of the housing (though the interiors are loved by residents) but because of the way the community collaborated with one another and with the architects, Assemble, to make the project a success. Similar social issues hit the streets of Brixton in the 1980s. In the decades that followed, this district of south London fell into disrepair until the refurbishment of its indoor market brought in independent traders and restaurants. In the waves of change that followed, pressure on housing stock has become acute. Some long-term residents have been squeezed out of the area. 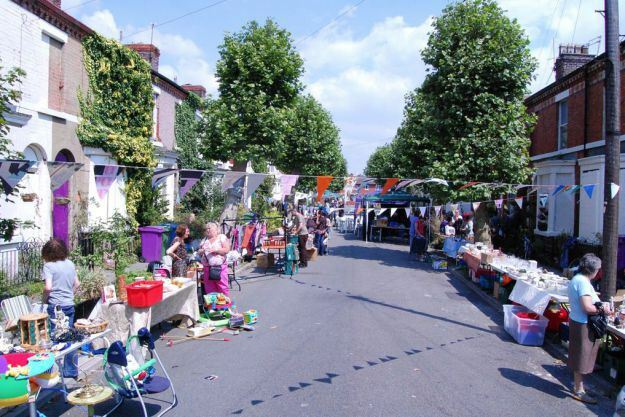 To respond to those pressures, residents came together to form a community land trust called Brixton Green to put the community at the forefront of local development. Their plans to build homes to regenerate the Somerleyton Road, are going ahead now. The landlord will be a community trust, Somerleyton Trust, set up with Power to Change’s support. The trust has decided that tenants will pay rent based on their household income, rather than what is often euphemistically in London called ‘affordable’ or ‘social’ rents. All the flats will be built to the same specification, and lower rent properties will be distributed evenly around the development. Residents and members of the trust (who must live or work in the neighbourhood) will have a say in the management and control of the development. And, as one community activist and Brixton Green trustee put it, taking control will be a lot more substantial than deciding on the stair-cleaning rota. Another ambitious scheme we are helping is Leeds Community Homes. They recently raised £360,000 in a community share issue, a form of crowdfunding, that was taken up overwhelming by locals who wanted a say in where they live. Power to Change match-funded this ‘people powered homes revolution’ to the tune of £100,000. Not only that, we have put further money into Leeds Community Homes, so that they can help other groups through the process of building homes across the city. We have done the same in Bristol. Community housing is not going to solve the country’s housing crisis at a stroke. The story will be different in each place: crumbling housing stock here, a shortage of land or housing there. People in each area will work out what the issues are and come up with new localised approaches, to make sure that people can live in and control homes they love in the places they want to live in. And we at Power to Change can help that happen by patiently backing people with big ideas – ideas which might just provide answers to the housing crisis that effects their neighbourhoods.